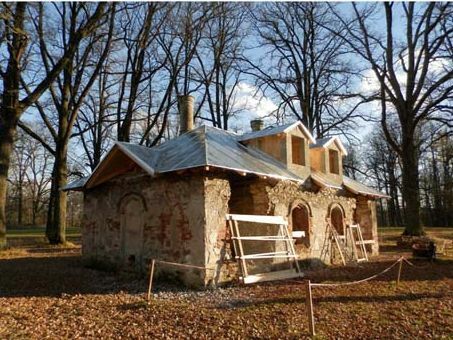 The Friends of Czech Heritage is a British charity that raises funds to help repair and preserve historical buildings in the Czech Republic. It also organises work parties in which members travel here from the UK to take part in restoration projects in a very hands on-manner. Retired architect Peter Jamieson is the chairman of the Friends of Czech Heritage. When we met in London, he filled me in on his connections to the country to which he now devotes so much time and energy. 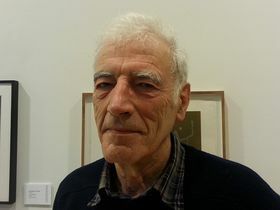 Peter Jamieson, photo: Ian Willoughby “I first went to the Czech Republic, well it was Czechoslovakia, in 1963, as a student. “I was interested in Eastern Europe and I travelled around and went to Prague, where I spent three days in what I thought was a youth hostel. But it wasn’t a youth hostel, it was a student hostel. “I was looked after extremely well and absorbed into the youth organisations. 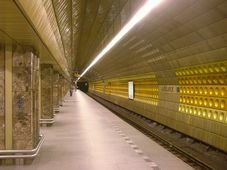 “I also travelled on to Bratislava. Incidentally I wanted to go to see where the Battle of Austerlitz had been fought and unfortunately it’s a huge battlefield and I didn’t really see it. But I saw Slavkov, the chateau there. “Anyhow, it made an impression on me. “I hadn’t been back until about 10 years ago when I went on a tour with one of the founders of the Friends of Czech Heritage, a lady called Barbora Peacock. “I went on the tour with her and she mentioned that she and Ian Kenaway were setting up… well it wasn’t called the Friends of Czech Heritage then, it had a very laborious name but it was the same organisation… to try and to do something about the huge backlog of work that was needed. What were your impressions when you went there 10 years ago? 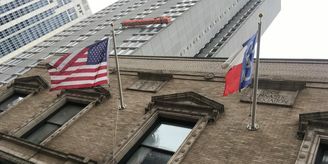 “I was impressed by the variety of buildings we went to see. Most of them were chateaus of various sorts. “We went to Eastern Moravia and then round back through Southern Bohemia, Český Krumlov and so on. Uherčice chateau, photo: Podzemnik, CC BY-SA 3.0 “It’s funny, I suppose I saw it as simply part of Central Europe. I know Bavaria quite well and that part of Germany. If you could possibly compare, how have the Czechs looked after their historical heritage and their great buildings, compared to other countries in the region – Austria and Germany in particular? “It’s unfair to make a comparison in a way because I think clearly Austria and West Germany in particular had a lot of destruction following the war. But still there was a lot more money around to start putting things right. “Clearly there wasn’t the wealth in the period following the war to really cope with the backlog of maintenance, effectively. “I think the Czechs have done very well on limited means. They have a very sophisticated approach to conservation and the whole way you approach the conservation of historic buildings. Looking at one of the Friends of Czech Heritage’s newsletters in front of me here, I see that all the sites seem to be outside Prague. I presume Prague is doing so well that it doesn’t really need help? “I think that’s just accidental, really. It’s the way it’s panned out. Are there any particular projects of which you are especially proud? 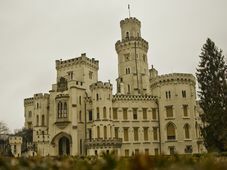 Uherčice chateau, photo: Podzemnik, CC BY-SA 3.0 “I think it’s not so much that I’m proud of them – I think that they’ve been pretty effective. They’re projects I’ve enjoyed being associated with. “There’s a chateau in Uherčice, which is very close to the Austrian border, not far from Vienna, which was very important historically. It’s on the route from Prague to Vienna. It has associations with Mozart. “But the family were dispossessed in 1945. It was right up against the Iron Curtain. In fact the chateau was used by border guards. It was partly demolished and was in a terrible state. 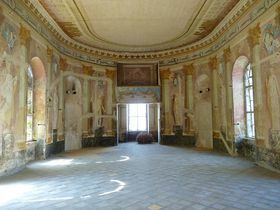 “And yet within it has some marvellous spaces and very, very sensitive decoration. “It belongs to the NPU, so it’s a national heritage building, but it was way on a limb and hardly anybody visits it. “So the idea was to try to bring this thing back to life with over-restoring it. And we’ve had various projects there which have begun to sort of breathe a bit of life into it. But at the same time not to over-restore it. “I think the NPU doesn’t want… they haven’t actually voiced this, but I think that’s what they’re going to do, to bring it up to a certain level without converting it into the sort of country house that you see around in the National Trust, full of polished floors and carpets and tonnes of furniture. They’re all the same. “There’s maybe just one other thing I could mention. We don’t just give money. We also arrange for volunteer groups to go out from this country to help with projects. 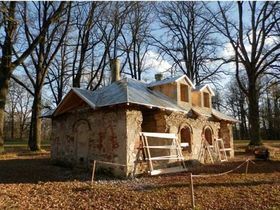 ‘Mauricovna’ or Gardener’s Cottage, Château of Červený Dvůr, photo: archive of Friends of Czech Heritage “We have developed a programme of working holidays, they’re called, out there in the Czech Republic. “We’ve been going for about six years. All these working parties are recruited here at the moment. “We have a project at Červený dvůr, which is very close to Český Krumlov. 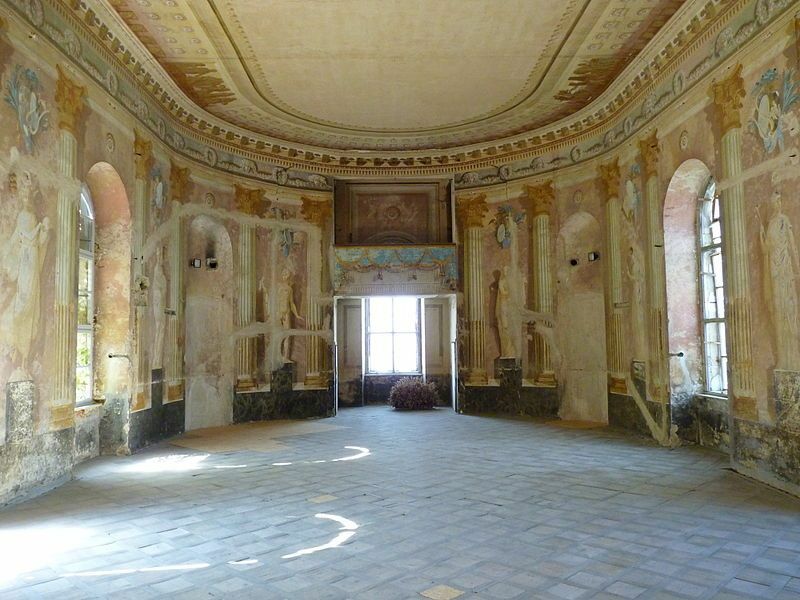 It was originally the summer residence of the Schwarzenberg family and now it’s a sanatorium. “We went out as a small group, thinking we were going to be restoring some landscape features but when we got there they went, No, no, no, let’s go and look at this cottage, which was a ruin. 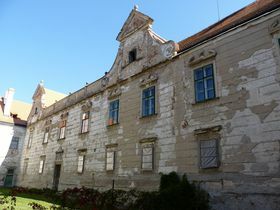 “We spent a week clearing it out and then we thought, This building needs to be properly restored – and what can we do with it? “Because there’s no point in restoring a building and then not having a use for it. So I did a scheme for it and we proposed that it should become a therapy unit for the hospital. “Over the last five years we’ve had working parties out there. We’ve also put our own money which we’ve raised ourselves into the building. And it’s now becoming a real building. “It’s amazing the amount of good will that you can build up as a result of these sorts of activities. 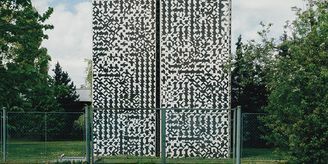 If I can end on a personal note, as an architect and somebody interested in conservation who’s known Prague for over 50 years, how do you view modern Prague? “[Laughs] I don’t know if I can end on that, because I have very rarely been to Prague. Because whenever I go to the Czech Republic we always seem to fly to Linz with Ryanair and get taken to Červený dvůr. “But I think that the thing about Prague is standing on the hills around it, looking down into it, it’s still an 18th century history. It’s skyline has not been ruined by high-rise. 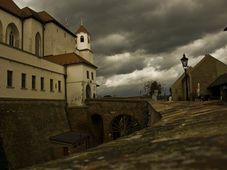 Pheasantry at Červený Dvůr, photo: archive of Friends of Czech Heritage “I can remember walking around Prague in 1963 and it was a very eerie experience, because you felt that the city hadn’t really changed since the 18th century. “The level of street lighting, certainly in the side streets, was so low that it was almost like, I suppose, going around in a pre-electric era. Just gas lights, or no lights at all.